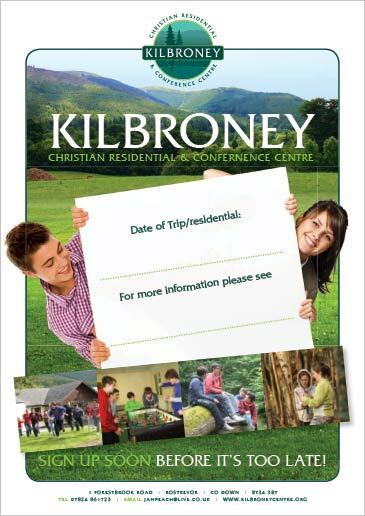 Below you will find useful downloads to help you plan, manage and advertise your trip to Kilbroney Christian Residential and Conference Centre. Print out, fill in your trip details and stick up these posters to help you advertise your trip. 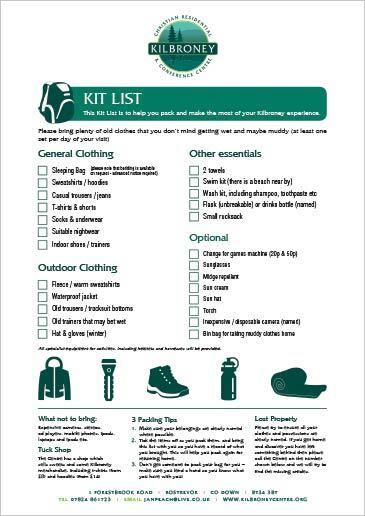 Print out and hand out these kit lists to everyone coming on your trip. 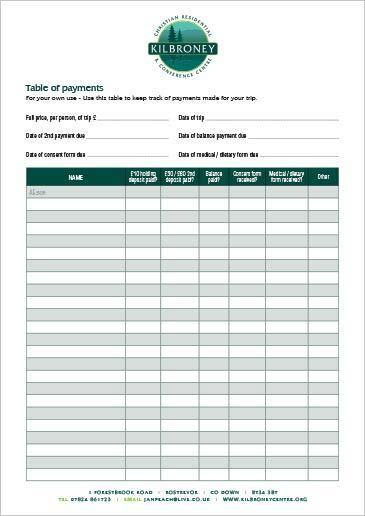 Print out this table of payment to help you keep track of payments made for your trip.